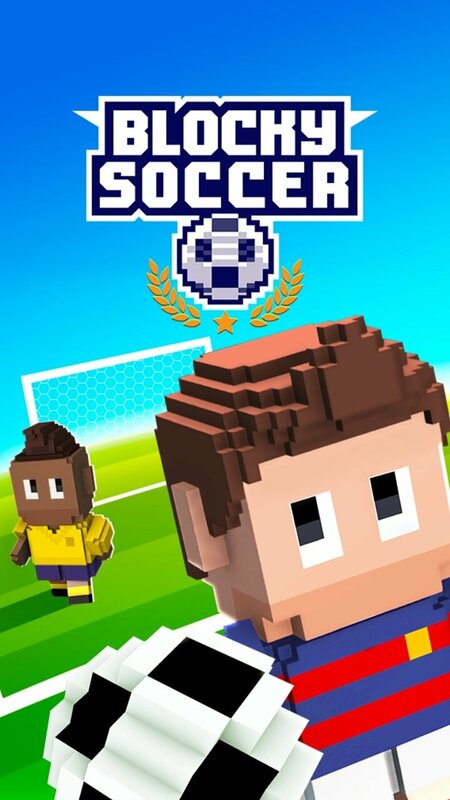 The most entertaining football games don't necessarily need to come along with outstanding graphics as proven by this Blocky Soccer, a very fun soccer game in which our players will be made out of blocks as if they belonged to the Minecraft universe. 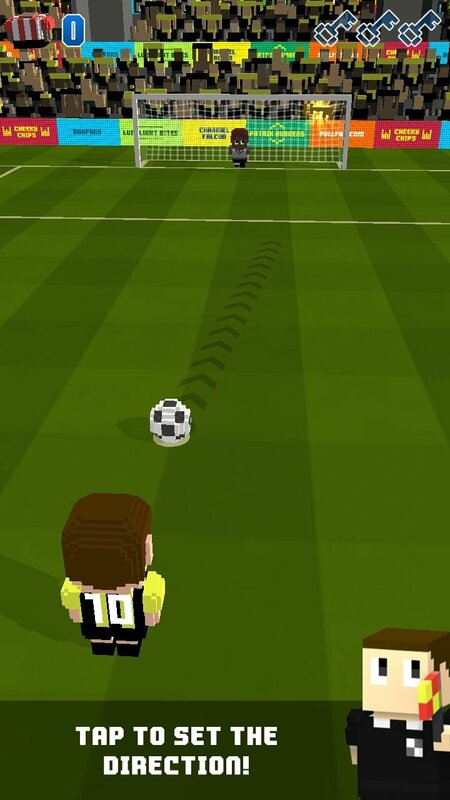 Control a striker as big-headed as Cristiano Ronaldo. 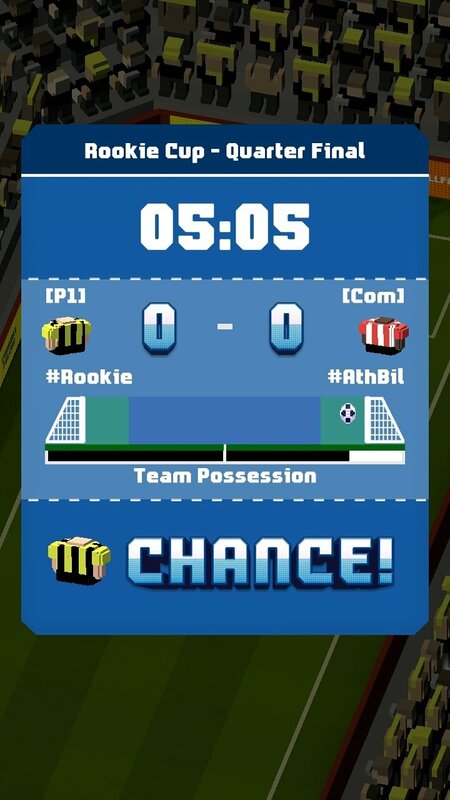 Therefore, it's a pixellated football game in which, like in any other Android game based on this sport, we'll have to score more goals than our opponent to get into the next round of the tournament we're playing. 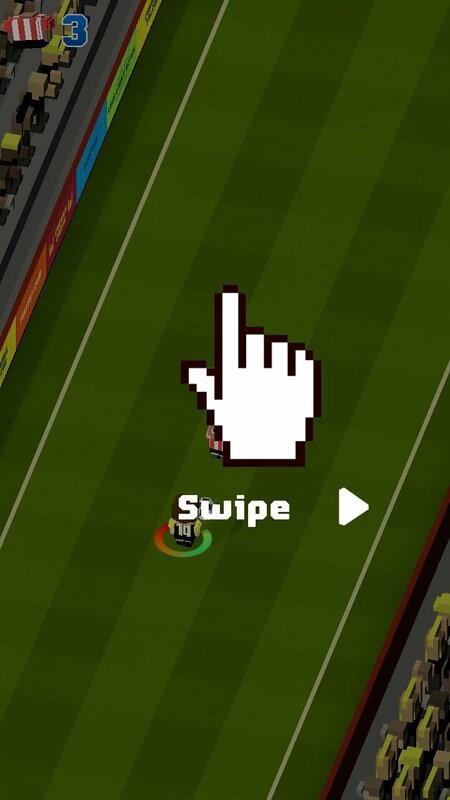 For such purpose, we'll use touchscreen controls to dodge tackles, sprint and shoot in a game inspired by the endless runner genre. 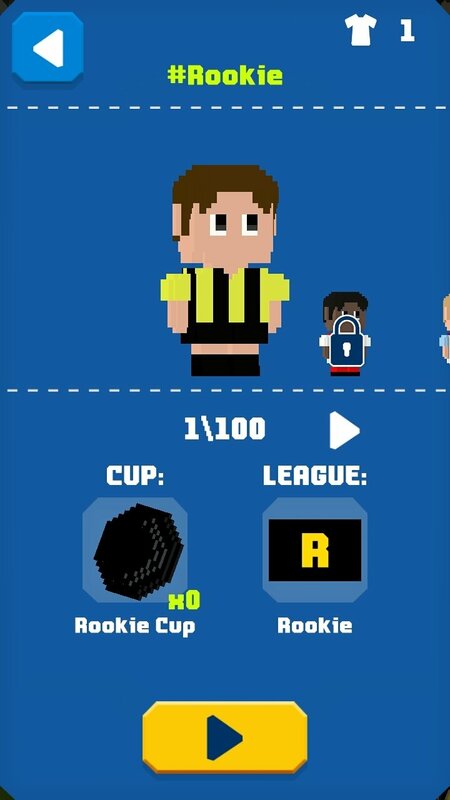 Retro football game in which you can have fun playing football. 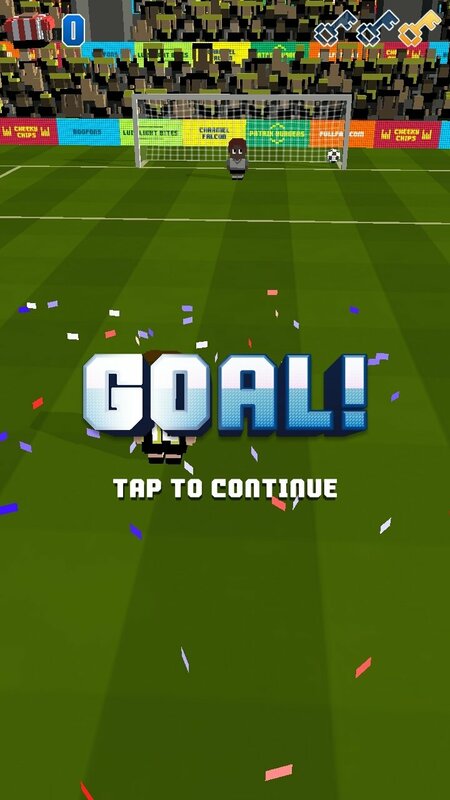 Dodge the tackles of your rivals, run as fast as you can towards goal and put the goalkeeper to the test. 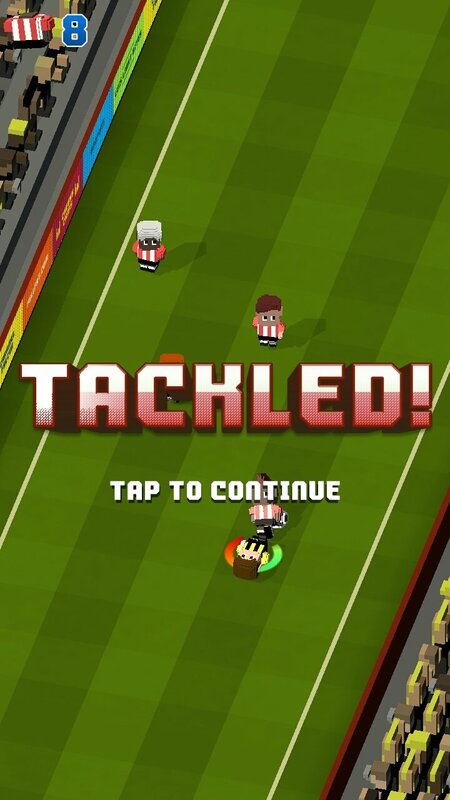 Realistic games physics with plenty of humorous touches. 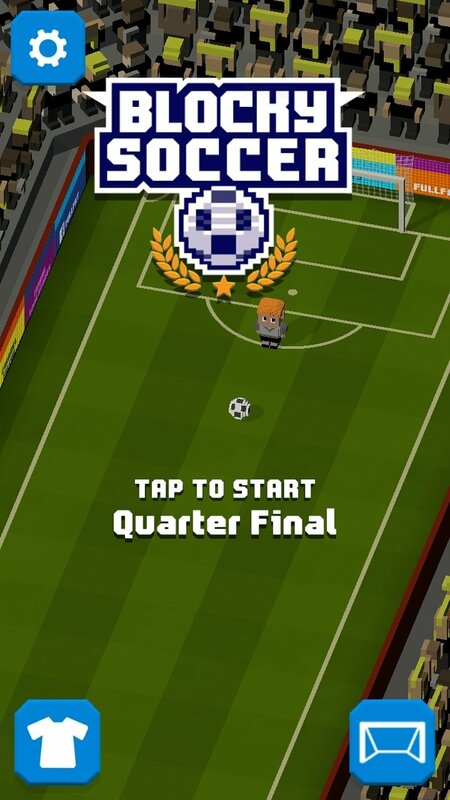 Get into the next stage, win international tournaments and calms your nerves when facing a penalty shootout. Changing weather conditions and different stadiums where to play.